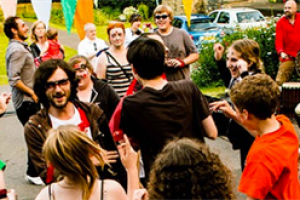 Our Big Gig & Football Festival will allow participants from our youth projects to organise a fun-filled day in their own local community, using the two most powerful cultural mediums on the planet! With the World Cup in Brazil coming up this summer, there is no better time to combine football and music together in one community event. 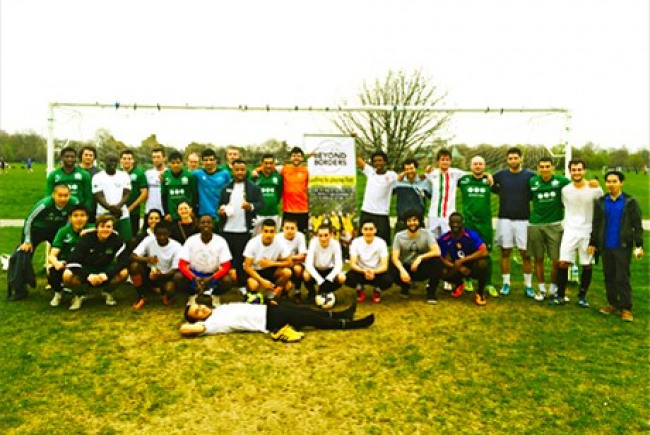 Thus, on the weekend of the big final in July, we will host an Our Big Gig event in South London bringing together members of Football Beyond Borders, young people from our mentoring projects and members of the local community to celebrate in style. 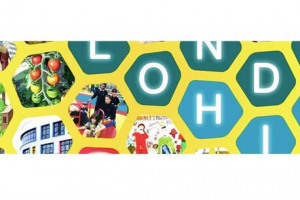 Football Beyond Border’s ‘Our Big Gig’ event in South London will showcase a diverse range of music, from Hip-Hop to World Music. We will also run a variety of football-based activities and host a 5-a-side tournament made up of community teams. Alongside this programme, we will bring together young people from our mentoring projects in interactive music workshops, facilitating the creation of a collaborative mix-tape. This mix-tape will then be used to promote a football tour that the participants are keen to undertake to explore and understand the legacy of the World Cup in Brazil in September 2014. We at Football Beyond Borders believe in the power of football to inspire young people to achieve their goals and make their voices heard. Our work has shown us that football is an immensely powerful tool for bringing people together and creating strong communities, for fighting prejudice, inequality and discrimination, and for creating opportunities for young people. Our primary focus is now on working with young people in some of London's most deprived communities. We run weekly football and mentoring sessions to empower them to find work, get into higher education and campaign on issues which are important to them. Much like football, music is yet another powerful cultural medium that transcends social and cultural borders and allows people to connect with each other in creative and enjoyable ways. We believe that a combination of these two mediums provides an open and inclusive platform for staging a community event, and so we are extremely excited about Our Big Gig. 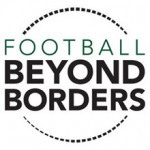 Football Beyond Borders is a not-for-profit organisation that uses the power of football to inspire young people to achieve their goals and make their voice heard. 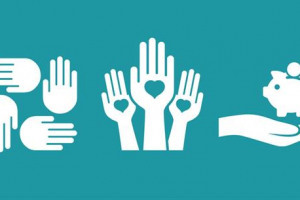 We believe that prejudice and discrimination are born from a lack of understanding and experience, and that the best way to overcome this is through the use of shared cultural mediums. We believe football to be one of the most powerful cultural mediums of them all, a truly global language which is spoken throughout the world. Our primary focus is on working with young people in some of London's most deprived communities. We run weekly football and mentoring sessions with young people to empower them to find work, get into higher education and campaign on issues which are important to them. 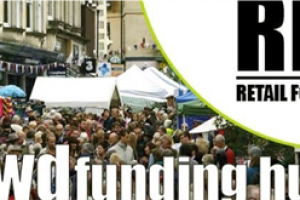 Many of them are also very creative & musically talented and so running an Our Big Gig event willl provide them with an opportunity to showcase their skills whilst giving something back to their local community.